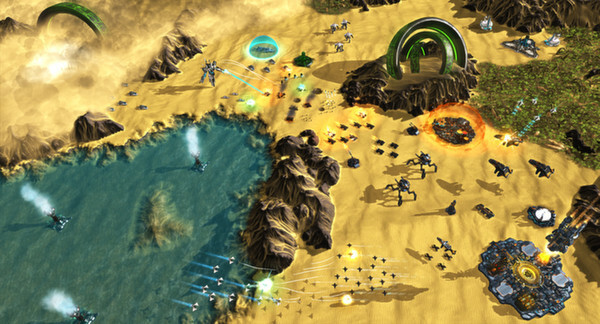 Manage your resources, develop your base, and take command of infantry, tanks, aircraft, and gigantic colossi of war to battle not only your foes, but weather anomalies andmysterious secondary factions in richly strategic and original RTS gameplay. 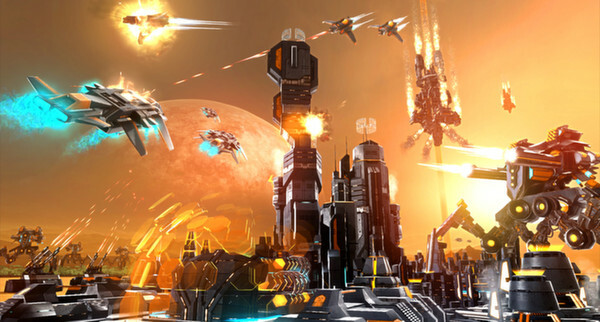 In the single player Conquest mode, develop your technological capabilities and expand your colonies over the furthest sectors of space, assembling a formidable armada. 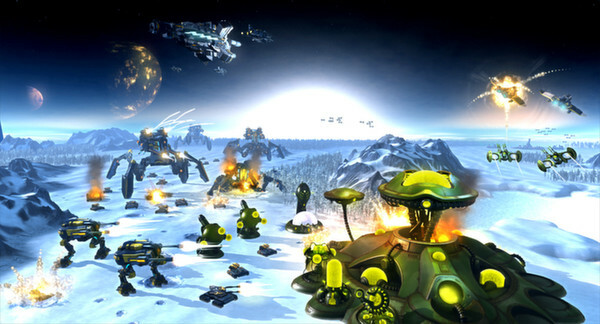 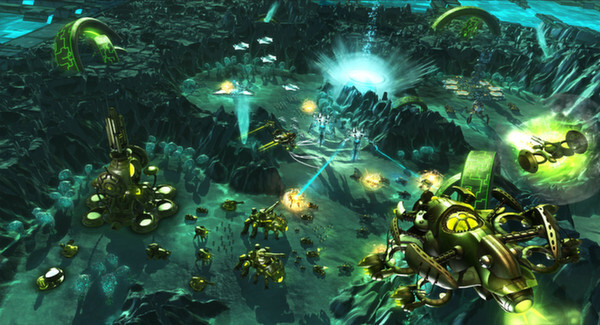 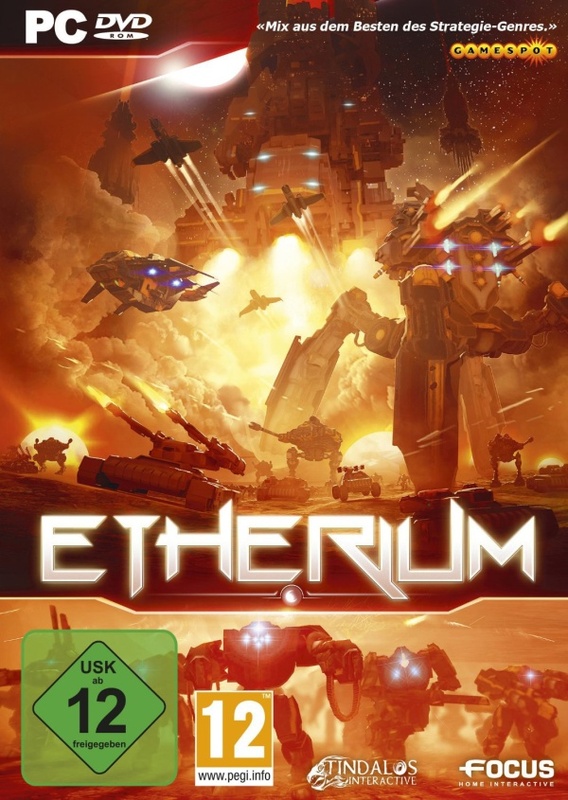 Each of the three factions have their own strengths and weaknesses, as well as different tactical command skills such as map exposure, climate control, or planetary bombardment.Define your own strategy, deciding to either fell your enemy by striking their mother-ship from the planet’s surface, or rapidly crushing their colonies. 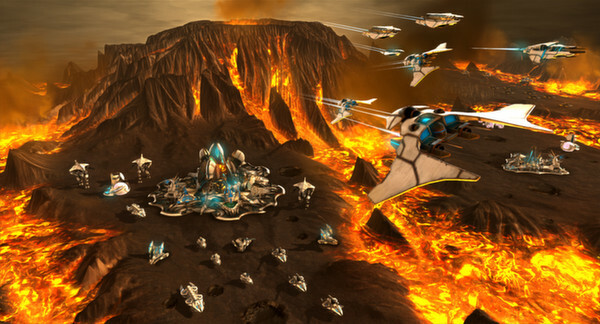 In multiplayer, team up or wage battle in all-out deathmatches with up to 4 players!